Downtown is here for YOU, so come get started! Downtown Lewiston is home to wonderful businesses and employers. Working here imparts many advantages and benefits. With our numerous parks and plazas coupled with a great variety of culinary options, downtown is a welcome place to work. 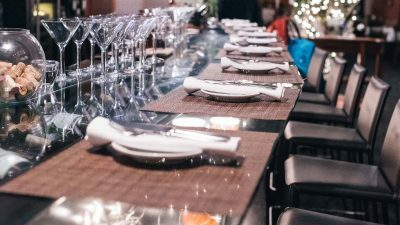 Accessible private event spaces and a vast collection of professional services make downtown an easy choice for employers. 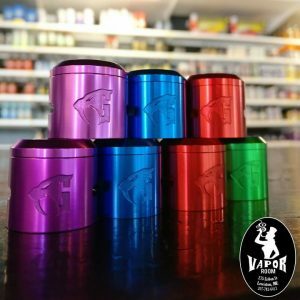 Vapor Room will redefine your vaping experience. We offer a one-stop shop for premium products and a comfortable, inviting atmosphere. We carry Trek, Cannondale and Fuji bikes. We have been in business for 32 years. We have factory trained mechanics who are among the best in the country. We take pride in our service and attention to customer needs. We have bikes from $200 to $10,000.00 including kid’s bikes. 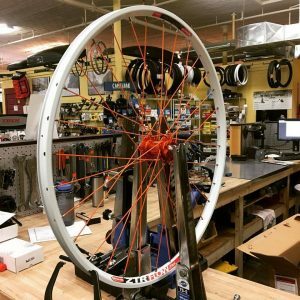 No matter what your bicycle needs are ,we can help. We are also an integral part of the Downtown and love getting involved in local events. Parking: There is on street parking but your best bet is to park in our lot on Canal street, anywhere on the dirt and come in the back entrance. Parking: Parking available on-street and in city garages. 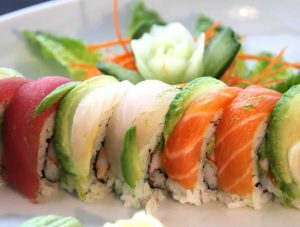 Orchid is an inspiring Asian fusion restaurant serving Thai, sushi, and Vietnamese cuisine. We combine an eclectic atmosphere with excellent and interesting food. The mission is to have not only a great food selection, but also superior service. Maple Way Dental Care offers cosmetic and family dentistry in a relaxed and friendly atmosphere. Maple Way Dental Care is located in Lewiston, Maine and serves the robust communities of Androscoggin County. Dr. Rosemarie Sheline, Dr. Calvin Kenley, and the rest of the Maple Way Dental Care staff provide care that is gentle and compassionate. 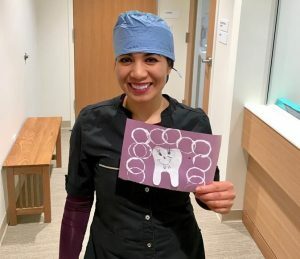 We offer checkups, cleanings, implants, porcelain veneers, teeth whitening, digital x-rays, root canals, tooth-colored fillings, dentures, night guards, extractions, crowns, and bridges. Please email info@maplewaydentalcare.com or call (207)784-2211 for an appointment. COME GET HOOKED AT BATES MILL NO. 6 ! Nestled within the heart of Lewiston inside the Bates Mill, DaVinci’s Italian Eatery is much more than just another neighborhood restaurant — it’s a place where guests can truly feel at home. Our casual atmosphere and vintage decor are accented by the mill’s exposed brickwork, giving the restaurant an inviting feel. 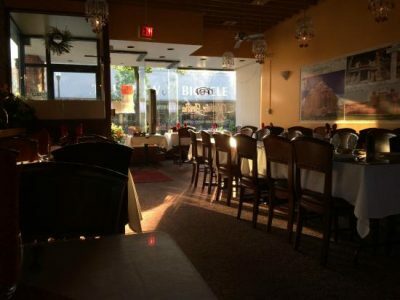 We are dedicated to providing a friendly and memorable dining experience. This, coupled with our delicious food and beverages make DaVinci’s a place that is built to last. 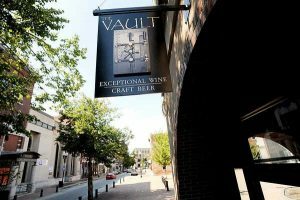 The Vault opened in 2011 and has been offering a fantastic selection of wine and beer from Maine, the rest of the United States and from around the world. We offer regular free tastings and feature wonderful local artists on our walls. The Vault also carries FIORE Artisan Olive Oils and Balsamics, Swift River Coffee, For Teas Sake loose leaf tea, Black Dinah Chocolatiers, and other great gift items. We are happy to find hard to find beers and wines, and offer a case discount (12) on wine. Parking: There is limited parking on Lisbon Street and the surrounding streets. Parking in the Garage on Park Street is free for the first hour, and just $1 an hour, but free after 6 pm and all weekend. Fales & Fales, P.A. is a Lewiston law firm that represents personal injury victims and families that have lost loved ones due to wrongful death. 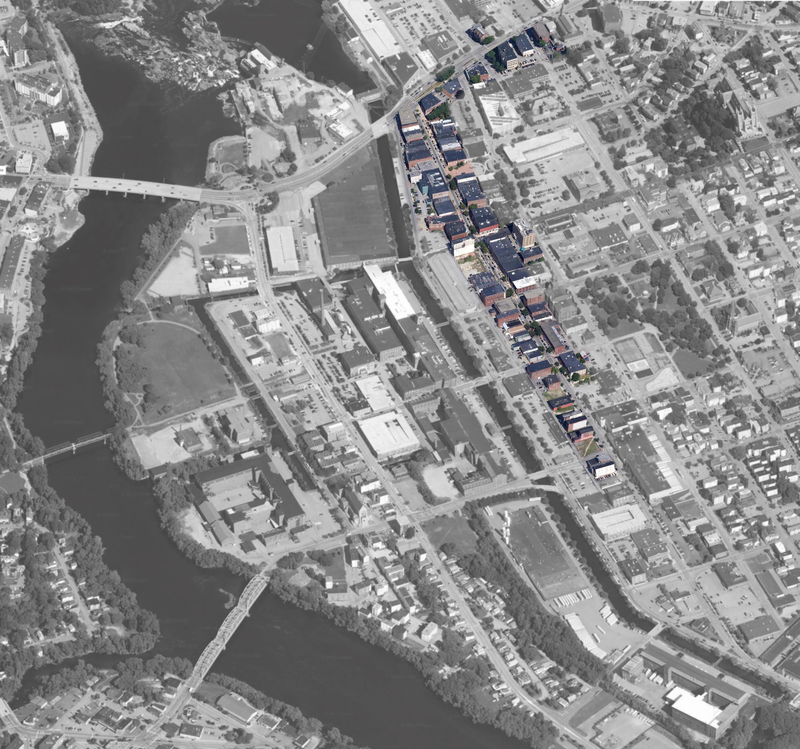 Downtown Lewiston has been our home since the firm was founded in 1891. Serving the residents of Androscoggin, Oxford and the surrounding counties for more than a century, the firm is located at 192 Lisbon Street – right next door to the Lewiston public library. 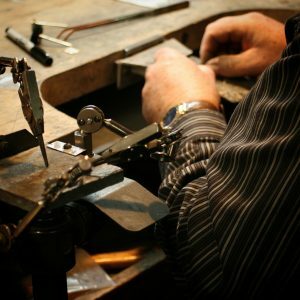 The finest quality jewelry can be found right here in the heart of central Maine. From the deepest, most vibrant blue sapphires to juiciest gumdrop pinks and greens of tourmaline. We pride ourselves on selecting almost all of our gemstones by hand, assuring that you get the quality you would expect from J. Dostie Jewelers. Our jewelry repair department custom fits, restores, refinishes and redesigns articles of jewelry to customer specifications. 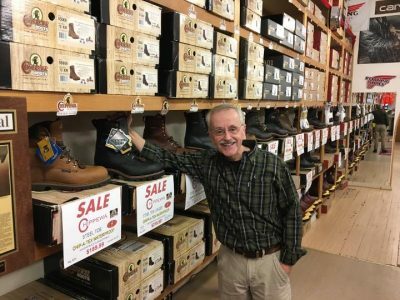 Paul’s Clothing is a clothing and boot retailer focused on work clothing and safety toe work boots. The store is dedicated to Carhartt work clothing including single knee and double knee work pants which are made of durable duck cloth. The store also includes Carhartt short sleeve and long sleeve t-shirts. For the cooler season that fast approaches we have heavyweight and mid-weight sweatshirts. For winter work wear we also carry insulated jackets, coats and bibs. Accessories for the working person include hats, gloves and socks. Boots are a very important part of our work wear line. Safety toe boots by Chippewa, Red Wing, Wolverine are offered here. Our services also include inseam pant alterations for those needing a shorter inseam than what is available. This is done free of charge with your pant purchase. Our store hours are Monday-Friday 9-6 Saturday 9-5. We cut through the noise with thoughtful design and impactful digital strategies. Our days are dedicated to creating beautiful things that drive business results. 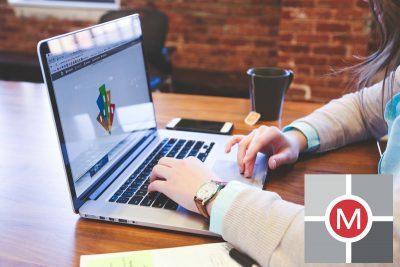 In a nutshell, we provide marketing strategy, design, content, web, and digital services. We believe that truly impactful brands inspire their audiences to action, to dream, to change; they leave an impression on their audiences and wield genuine influence. Creating work like this is our passion, it’s what brought us together, and it’s what keeps us moving forward. We help businesses connect with their audiences through meaningful and engaging video that captures the experiences and feelings of their brand. We specialize in Video Production, Cinematography & Professional Editing. Located in the heart of downtown Lewiston, Forage Market is committed to providing our community with high quality products crafted with care from sustainable raised plants and animals. We offer a breakfast, lunch, and drink menu with focus on our hand rolled, wood fired bagels. The Drinks Thomas Ardia. With over 20 years of experience in the restaurant business, Tom Ardia has made an indelible mark on the restaurant and bar communities that he has served. Working closely with new and emerging businesses in L+A, Tom has acquired a well-earned reputation as a creative genius behind the bar, winning recognition in the industry for his stylistic contributions to mixology. Tom is back in L+A! The Food Michael Gosselin. A Lewiston native, Michael became passionate about food at a young age. After graduating as a Lewiston Blue Devil, he went on to study at the Culinary Institute of America in Hyde Park, New York. 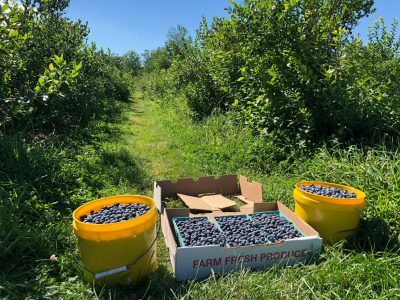 After returning to Maine he worked steadily in local area restaurants for over a decade, where he helped open two restaurants and manage two kitchens as Chef. An innate desire to host and feed people has fueled his passion for food and hospitality throughout his career. Michael has always been proud to be from L+A and his Franco-American heritage has influenced his philosophies on life and cuisine. The Place Great Falls Development Group: Peter Flanders, Jon Mercier, Jake Nason, Eric Potvin, Jim Pross, Jason Renchy, and Rick Roy. With help from the industry knowledge that their new partners bring to the table, GFDG transformed this basement location of Sonder & Dram into something exciting and new. To build something magnificent requires the work of many hands. It is more than the sum of its parts. A craving for new restaurants and dining experiences pushed the members of GFDG to get involved in the exciting future of cuisine and entertainment in downtown Lewiston. Sonder & Dram is a culmination of determination, enthusiasm, and high hopes for L+A. Parking: Easy on street parking on Ash St, Lisbon St, and Canal St. and more. As well we are located across the street from the Ash Street Parking Garage. 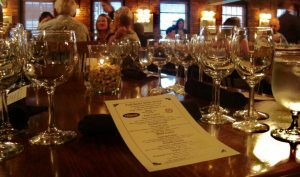 Located at the heart of downtown Lewiston in the historic Lyceum Hall, Fuel is a modern bistro. Our food is a nod to Country French, with offerings like NY Strip steak frites, our infamous braised pork shank, French onion soup and other approachable favorites. We round out our menu with more relaxed choices like our ribeye burger, mac and cheese or a hearty croque monsieur. (That’s a ham and cheese sandwich, served hot and topped with cheese sauce). Mon dieu! Our spirits program, is, well, spirited. 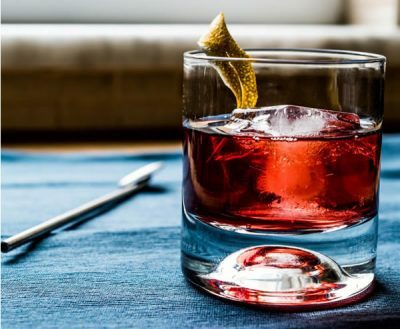 From craft cocktail offerings to an incredible selection of single malt scotch, we’ve got it covered. Wine? Yes! Our wine list has been awarded the Wine Spectator Award of Excellence for 6 years running, and we offer over 150 selections. How about value? We offer over 25 bottles of wine for $25 or under. And, with 14 wines available by the glass, we have something for everyone. Fuel is not stuffy, or fancy. Our goal is to provide excellent food and service, without the attitude. Androscoggin Bank is there for you in the moments that matter the most – for both business and personal projects. Our officers provide sound advice and the expertise that will help position you for the next chapter of your journey. We’ve been helping Mainers craft unique stories for nearly 150 years and look forward to hearing how we can help you. Androscoggin Bank is Member FDIC. We pawn items where people use their items as collateral for a short term loan, we also buy out right items from people that we then resell, and we also sell used and new items as we are a Yamaha dealer, a Peavey Dealer and sell a wide arrangement of products all we guarantee for 30 days however some of the new items we sell come with the complete manufacturers warranty. Parking: We have a parking lot located just before the building and street parking. 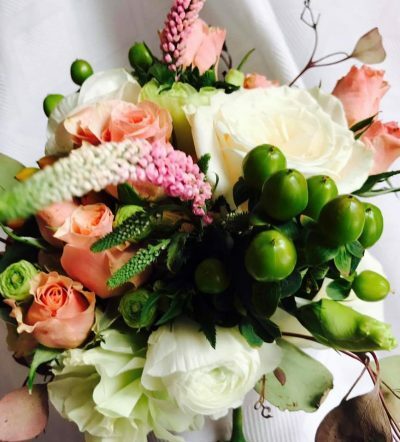 Full service Florist, once open same day delivery available. We also pride ourselves on the fresh cut floral stem market should you want to stop in and walk out with your own bouquet. Antiques such as pitchers, vases, tea cups, mason jars and sooo much more are available for purchase as well. We offer antique rentals for special events, saving you a bundle while not compromising on the decor of your event. Call today for a free special event consultation! In business since 1905, Victor News has been operating in Downtown Lewiston for 113 years. Victor News has also been run by the same family over that same time. What was primarily a newspaper and magazine outlet at inception, Victor News has grown to carry thousands of everyday items. We are open 7 Days a week, and we employ a friendly, knowledgeable staff. Parking: Short term on street parking (limited) and a parking garage, across the street with 1st hour free. 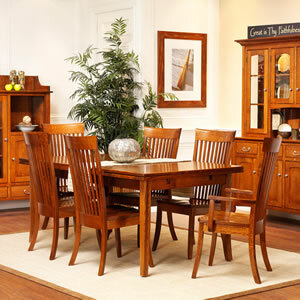 We sell many fine lines of furniture for living room, bedroom, dining room and family rooms. We have a complete mattress shop featuring Serta and Tempur-pedic. We have been in business since 1888 and pride ourselves on our quality and customer service. 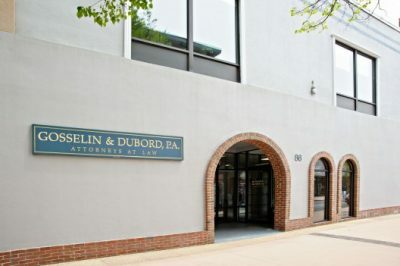 Recipient of the 1998 City of Lewiston Economic Development Award in recognition of its investment in downtown development, Gosselin & Dubord, P.A. is proud to have its offices at Lisbon Street since 1987, well before the recent downtown renaissance movement. The firm’s partners, Paul R. Gosselin and David R. Dubord, assisted by associate attorney Daniel Eichorn, and by the firm’s talented and experienced paralegal and support staff, assist the firm’s business and individual clients in a variety of practice areas including real estate, lender and creditor matters, business transactions, landlord representation, wills, probate and elder law. The firm’s attorneys and employees also have a long-standing commitment to charitable and community service. Whether it’s cotton tarps or beer taps, we believe hard work starts when the sun rises and doesn’t stop until the job’s done. That’s why, in 2010, we opened Baxter Brewing Co. in the iconic Lewiston Bates Mill. From the weavers and millwrights that once occupied the mill to the modern-day brewer you’ll meet when you pull up a stool, we all share the common traits of grit, determination and passion. For us, that meant becoming the first brewery in New England to can all its beer. Why? Because it’s sustainable, it tastes better, and because it doesn’t require an opener. (We still prefer to work with our hands.) You see, there are some things Mainers just know to be true, like the importance of having a beer for every season. Sure, sometimes that means four different beers in a day, but we’re not here to judge. So, if you’re not sure if it’s shorts weather or jacket weather, you’ll know it’s Baxter weather regardless. We’d like to share this mentality with you, preferably over a cold Stowaway. Because no matter if you’re from Maine, or you’re “from away”, when you’re holding a Baxter, you’re one of us. 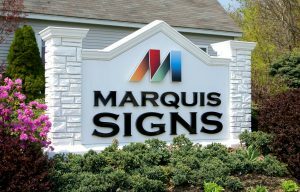 Marquis Signs is a full service sign and vehicle graphics company serving the communities since 1977. The friendly and knowledgeable artisans can handle your project from start to finish, right from the design stage all the way to installation, if need be. Customer satisfaction is a top priority and they will always strive to make sure you are happy with their work. Consider them for all your sign and vehicle graphics needs. The Downtown Lewiston Association reserves the right to extend our membership to a business that would otherwise not qualify to be a member (example- a business that is located outside of the Downtown Lewiston Commercial Area) given a demonstration of an overwhelming commitment to our efforts, mission, and downtown. In the case of Marquis Signs, Sandy Marquis was not only instrumental in the creation of The Downtown Lewiston Association, but she has a long history of an unwavering dedication to our Downtown Commercial Area. Mother India brings you a variety of dishes from different regions of India. You can enjoy the warmth of Indian hospitality through its cuisine and a variety of beverages. We specialize in the cuisine of India, where cooks use rich spices and aromatic herbs to transform intricate conjurations of vegetables, lentils, and rice into tasty meals that are as fulfilling as they are filling. We offer take-out, dining-in and catering service. Please join us for our lunch buffet from 11:30 am – 2:30 pm on Wednesdays, Thursdays & Sundays. Led by its dynamic core of shareholders, Ronald Bissonnette, Daniel D’Auteuil Jr., and Jason Dionne who have been with Isaacson & Raymond since 1983, 1993, and 2008, respectively, the firm traces its origins to Harris Isaacson’s office which opened in 1922. Augmented by a cadre of enthusiastic younger associate attorneys and an experienced staff including probate, real estate, and litigation paralegals, the firm continues the proud tradition of its founders by providing effective legal services and representation to individuals and businesses throughout the greater L/A community. Parking: Some metered street parking along with a city fee lot. Washing, cleaning and polishing vehicles is what we are good at! Our family has been committed to serving the L-A community for more than 48 years. And our goal is to continue providing exceptional service for the next 48+ years! We are one of the largest self-service car wash companies in the state of Maine. Yvon’s features locations in Auburn, Bethel, Mechanic Falls, Rumford, Sabattus, Saco, and three locations in Lewiston. Uplift LA is an affiliate of the Lewiston Auburn Metropolitan Chamber of Commerce. We are part of the Realize Maine Network, a statewide initiative that brings together regional group representation united around the cause of attracting and retaining young people in Maine. 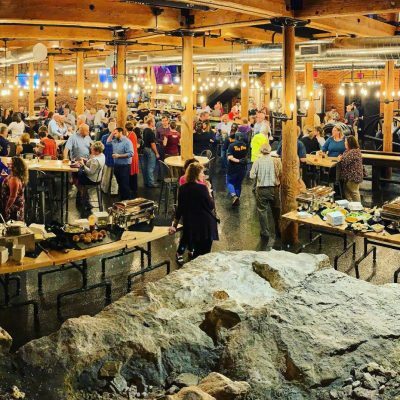 Uplift LA aims to give a voice to the rising professionals in this region and provides professional and personal development and networking opportunities to the public, in order to highlight what makes living and working in the Lewiston Auburn region so fantastic. MUNKA, which means “work” in Hungarian, is a shared working space in the heart of Lewiston’s downtown. 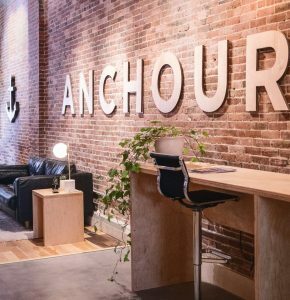 Our space was designed to inspire your best work, to encourage collaboration, and to provide a platform for community-building. We took its original wood floors and exposed brick and added contemporary touches like Herman Miller desks and chairs to create a space that is both aesthetically charming and effortlessly functional. 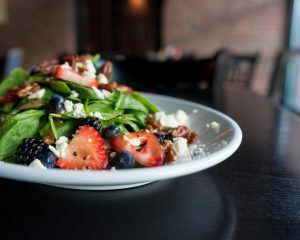 Located at 213 Lisbon Street and housed in an iconic historical building, MUNKA is within walking distance to many of Lewiston Auburn’s great restaurants, a coffee shop, and more. You’ll gain 24 hour access, and — when you’re not bumping into our awesome neighbors — you’ll enjoy commercial-grade WiFi, a brand new kitchenette and lunch (or midnight snack!) area, coffee/tea, sit-to-stand desks, ergonomic task chairs, and a conference room that will make you look forward to meetings. Oh, and did we mention our 78″ curved display? Hello, movie night! Community Health Options® is a non-profit, Member-led health insurance plan providing comprehensive health insurance benefits to individuals, families, and businesses. We are a Consumer Operated and Oriented Plan (CO-OP) licensed in Maine. We are dedicated to providing affordable, high-quality health benefits through productive partnerships with Members, businesses, and a broad network of providers. We are governed by a Board of Directors, a majority of whom are Community Health Options Members, which ensures that Members have a strong voice in the management and development of the products and services. Our innovative approach is designed specifically to provide affordable, high-quality benefits that promote health and wellbeing. We believe that healthcare can be both better and more affordable when doctors, patients, health insurers, and employers all work together to bring about positive change. We believe that the community plays an important role in people’s health. As such, we support local resources whenever possible to help ensure better access to high-quality, integrated care. Based in downtown Lewiston the Sun Journal has continues to be a leader in local news and, over the years, has received numerous awards for writing, investigative reporting, editorials, photography, graphic design and advertising as well as Maine and New England Newspaper of the Year awards. The Sun Journal was also named one of the “World’s Best-Designed” newspapers and listed as one of the top ten in the United States by the Society of News Design in 2000. 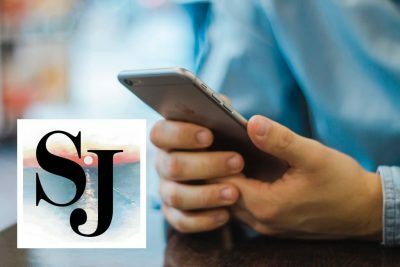 The Sun Journal is one of Lewiston-Auburn’s largest employers and is committed to the economic and cultural improvement of the region it serves. Many of the company’s employees play an active role in service to their communities. The company has focused on diversification efforts over the years. Several weekly newspapers, commercial printing and other print and web-based products were added to its portfolio to offer customers various options for receiving local news and information, as well as marketing their businesses. A new name — Sun Media Group — was announced in 2007 to serve as an umbrella to unify the Sun Journal with all of the individual companies owned by the Costellos, including Sun Press, The Bethel Citizen, The Forecaster publications, Rumford Falls Times, Advertiser Democrat, The Franklin Journal, Livermore Falls Advertiser, The Rangley Highlander, The Penobscot Times, American Journal, Lakes Region Weekly, Maine Women Magazine, 95 North and My Gen.
On Aug. 1, 2017, Sun Media Group was sold to Reade Brower, a mid-coast media executive and entrepreneur who also owns MaineToday Media, which includes the Portland Press Herald, Waterville Sentinel and the Kennebec Journal. He is also the owner of Alliance Press, a commercial printing company in Brunswick, and publishes four weeklies in midcoast Maine: The Free Press in Rockland, The Courier-Gazette in Rockland, The Camden Herald and The Republican Journal in Belfast. Parking: On street parking along Park St. and customer service lot on Park St.
Ouellette & Associates, P.A. is a leading certified public accounting and consulting firm located in Lewiston, Maine. We offer full-service accounting, auditing, tax and financial services to individuals and businesses throughout New England. Our clientele represent a wide range of industries, including non-profit and government organizations, financial institutions, real estate and construction industries. Utilizing our team of skilled professionals, with highly diversified and experienced backgrounds, we are able to meet the specific needs of our clients. In the case of Ouellette & Associates, Steve Lamontagne has been essential in the creation of The Downtown Lewiston Association. 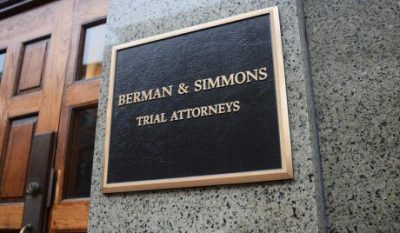 Berman & Simmons is widely recognized as the best personal injury and medical malpractice law firm in the state of Maine. For more than 100 years, our trial attorneys have delivered exceptional results for people who have been injured or harmed by the actions of others. aizoOn US focuses on the Smart Factory which means primarily automation for supply chain and manufacturing (traditional and Internet of Things), Cyber Security, and SW development. With offices here in Lewiston, ME and Cambridge, MA the growing team has strong capabilities in automation, preventive maintenance and support, and SW development. Strong ties with Universities in Australia, Europe and USA ensure aizoOn remains at the leading edge of technology. Examples range from deep-learning algorithms to sophisticated predictive modeling used for preventive maintenance of industrial equipment, energy consumption, as well as cyber security. We partner with our Customers at local and national level in the planning, deployment and execution of the latest innovative technologies, enabling them to improve their short-term results and strategic competitiveness enterprise-wide. With a pool of highly skilled SW developers, UX designers, statisticians, cyber security experts and important customers’ referrals in America, Europe and Australia, aizoOn is a valuable partner on all latest IT technologies. Contact us to learn more about our services and local customer success stories! Consistently labelled Maine’s “Best Theatre,” by DownEast magazine, The Public Theatre produces professional theatre that entertains, inspires and delights audiences. Featuring trained actors from New York and Beyond, contemporary, Broadway-quality plays and exciting new scripts from emerging playwrights, we provide provocative and life-affirming theatre that is accessible to all. Parking: Large parking lot adjacent to theatre. We are Lewiston-Auburn’s Dolard and Priscilla Gendron Franco Center – Central Maine’s premier performance and event center. The Franco Center is in Lewiston, Maine, U.S.A. We believe history and heritage are action verbs, just like community and neighbor. We practice these by engaging members of our community young and old to share their experiences and traditions, so we might all benefit from them. 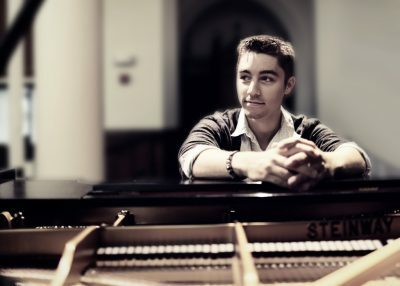 We’re a performing arts organization that celebrates Franco-American heritage and culture and the cultures of others from places around the world; our Francophone history is a legacy handed to us by generations of our brave ancestors who relocated here from France, from Quebec, and from all across the globe. We present the best in popular, Broadway, folk and symphonic music, solo instrumentalists, chorales and choirs, and other contemporary music, dance and theater. We produce wildly successful theme night series, comedy shows, as well as other informal nightclub performances. We boast two magnificent and unique halls that are also used by numerous individuals, families and organizations for various events, including weddings, receptions, family gatherings, breakfasts, luncheons and banquets, corporate meetings, seminars, training sessions, and celebrations of all kinds. Founded in the year 2000, the Franco Center is a 501(c)3 non-profit organization governed by a 15-member volunteer Board of Directors and operated by a handful of dedicated staff members and countless volunteers. Parking: We provide ample parking directly across the street from our facility. There is also parking in our neighborhood parking garage, a half a block away. Healthy Androscoggin focuses on 5 main goals including promoting healthy eating; supporting active communities; preventing childhood lead poisoning; preventing substance misuse and supporting tobacco free lifestyles. We provide planning, education and advocacy to create a healthier community. Chill Yoga is Lewiston Auburn’s longest serving dedicated Yoga studio. Our qualified teachers are ready to welcome students of any age and ability to learn and practice Yoga in our beautiful space. 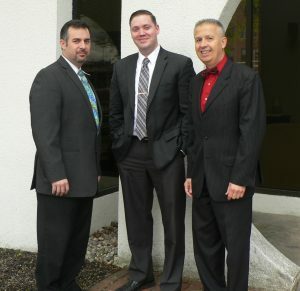 Andrew Hill Legal offers a variety of legal services to the Lewiston area. Andrew represents buyers and sellers of real estate, small business owners, and clients needing assistance with municipal land us regulations. Hampton by Hilton Lewiston-Auburn is the area’s newest hotel, achieving annual Hilton awards and providing top notch customer experiences! 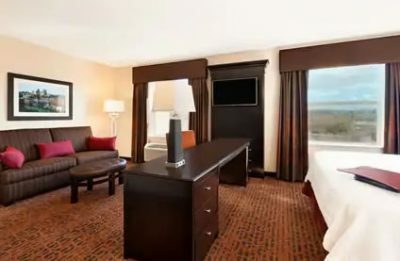 Offering a delicious complimentary breakfast buffet, clean and fresh Hampton beds, indoor heated pool, fitness center, microwave and fridge in every room, free Wi-Fi, and ample complimentary parking, guests are sure to have an enjoyable and memorable stay! 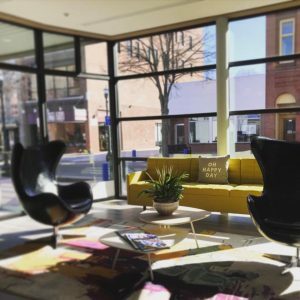 Located in the heart of downtown Lewiston, the Hampton by Hilton is within walking distance of several great local restaurants, breweries, and other local attractions! Why stay anywhere else? With forty-eight lawyers serving clients from offices in Lewiston and Portland, we offer expertise in a broad array of practice areas, serving individuals and businesses alike. Our attorneys have been recognized in their specialties and honored by their peers locally, regionally, nationally, and internationally and are trusted by clients to provide sound, common-sense advice and solutions. Parking: Off-street parking accessed from either Middle Street or Bates Street. Metered on-street parking also available. A family-friendly farmers’ market right in the heart of Lewiston-Auburn, the Lewiston Farmers’ Market offers visitors a chance to connect with one another and shop for a wide variety of fresh, delicious local foods and goods. Conveniently located near the beautiful Great Falls and the historic Bates Mill 5 the summer market occurs every Sunday from May to October. Visitors to the market will find a variety of vendors selling Maine grown and produced goods including fresh, organic and chemical-free fruits and vegetables, quality meats, cow and goat dairy products, wheat based and gluten free baked goods, handcrafted soaps and body products, fresh cut flowers, arts, crafts and more! Each week the market hosts local and live music along with kid-centered activities including a Kids Club that offers opportunity to taste fresh fruits and veggies and even buy some from the market! The Lewiston Farmers’ Market provides area farmers, artists and crafts people with a venue to sell their products directly to the community. We strive to offer a convenient location and friendly atmosphere for all people and the ability to access fresh, nutritious, locally produced food. We support efforts for civic engagement and community revitilization. The Lewiston Public Library is a community center and hub for learning, connection, and culture. Services include access to over 160,000 books, DVDs, and CDs, as well as many more through our statewide interlibrary loan partnerships. Other services include free year-round cultural, learning, and community-building programs and events for people of all ages; community meeting and study rooms available to the public; free access to computers and wireless internet; research assistance and reading recommendations; and digital products and services such as research databases, language learning programs, and media streaming services. Commercial Insurance Products: Liability, Property, Auto, Transit/Cargo, Watercraft, Commercial Equipment, Crime, Directors & Officers, Employment Practices, Cyber Coverage, Professional Liability, Workers Compensation, Commercial Umbrella. Personal Insurance Products: Liability, Home/Condominium/Tenant, Auto, Motorcycles, Snowmobiles, Boats, RV’s, ATV’s and Umbrella. Parking: Parking is available across the street- free parking lot. Here at The Healing Community MedCo, our mission is to offer the most extensive line of top-shelf medical cannabis and cannabis products in the state of Maine. We offer everything from cannabis flower to medicated wholefoods, candies, baked goods, tinctures, beverages, syrups, extracts, salves, CBD products, and more. Our cannabis is grown in our state certified warehouses and our cannabis products are crafted in our on-site state-certified kitchen. Hospitality is important to us, and we are here to help you. Our staff is always welcoming and knowledgeable and can help you in choosing specific products to fit your medical needs. It is our goal to go above and beyond for our patients, and we strive to consistently provide the best experience possible. Our atmosphere will always be inviting, our prices will always be competitive, and our cannabis products will always be the highest of quality. MedCo is Maine’s premiere medical cannabis service. Stop by today to see for yourself and browse our selection, and while you’re here be sure to ask about our rewards program and quick delivery service! I have been open well over a decade in the Lewiston downtown I was born and raised here and I’m raising my daughter here. My two businesses that share 25 Lisbon St. one After Hours Headshop which carry’s anything you could ever dream of for ones smoking pleasure from bongs, papers, vapes, scales, grinders, carrying cases, CBD and so so much more. 207THC has been always been a dream of mine and why I opened my shop so long ago. I care passionately about providing the best friendliest dispensary storefront experience for marijuana customers as I possibly can. I have more than 20 flower strains always in stock, tons of extracts, distillate carts and edibles provide by my facility and a select group of other top notch facilities around the state. Our industry is growing more everyday and at my shops we are dead set on doing our best to provide the best affordable products as well as top shelf inventory for every type of marijuana fan. Parking: Parking can be tricky at times but if you follow my directions it’s completely doable. If you happen to find no parking on Lisbon street just take a right into Main st there are usually spots right along there before you get to Oak St. If not take a right into Park st and there is cheap paid parking or what I recommend is parking in the parking garage on Park st it’s free up to an hour and only a 30-40 second walk from my shop. All photos courtesy of Daniel J. Marquis www.danmarquisphotography.com Used with permission.